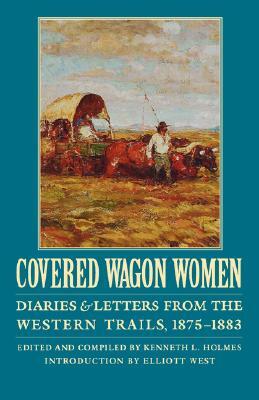 The women who traveled west in covered wagons during the 1840s speak through these letters and diaries. Here are the voices of Tamsen Donner and young Virginia Reed, members of the ill-fated Donner party; Patty Sessions, the Mormon midwife who delivered five babies on the trail between Omaha and Salt Lake City; Rachel Fisher, who buried both her husband and her little girl before reaching Oregon. Still others make themselves heard, starting out from different places and recording details along the way, from the mundane to the soul-shattering and spirit-lifting. 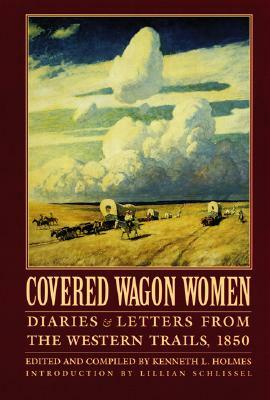 Description: The women who traveled west in covered wagons during the 1840s speak through these letters and diaries. Here are the voices of Tamsen Donner and young Virginia Reed, members of the ill-fated Donner party; Patty Sessions, the Mormon midwife who delivered five babies on the trail between Omaha and Salt Lake City; Rachel Fisher, who buried both her husband and her little girl before reaching Oregon. Still others make themselves heard, starting out from different places and recording details along the way, from the mundane to the soul-shattering and spirit-lifting. Kenneth L. Holmes is emeritus professor of history at Western Oregon State College. 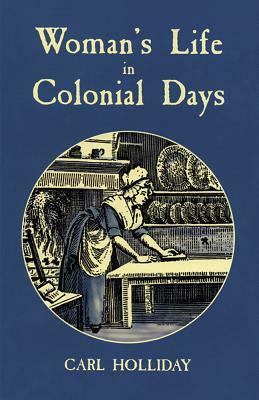 Anne M. Butler, a professor of history at Utah State University–Logan, is the author of Daughters of Joy, Sisters of Misery: Prostitutes in the American West. 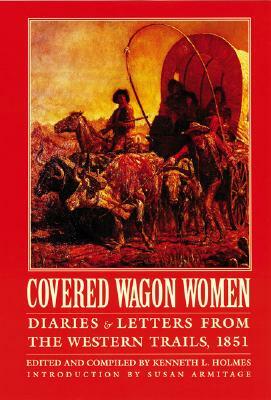 “Covered Wagon Women is to be valued. . . . First, it brings together in a single edition a major collection of the diaries of overland women. . . . Second, this is probably the most perfectly documented edition a researcher will find.”—Lillian Schlissel, Pacific Historical Review.